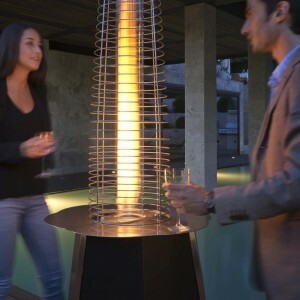 ANUBIS : A traditional fireplace design with contemporary styling. The carved stone fireplace surround is supplied with a Small Oval Gas Fire Bowl. Choose from a range of bowl finishes. Price includes : Gas Fire, Enclosure, Surround & Hearth. The Small Oval Gas Fire Bowl is surprisingly versatile and adapts beautifully in to a wide range of fireplace installations. 490mm wide from tip to tip and created from solid stone or hand polished cast metal. 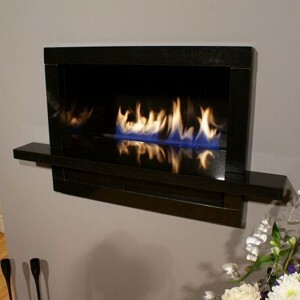 This is a very high quality, durable and reliable gas firebowl that has been installed in properties around the World. This iconic gas fire bowl design features ceramat burner technology which creates a sparkling undulating sea of blue incandescence and gentle peaks of yellow flames. 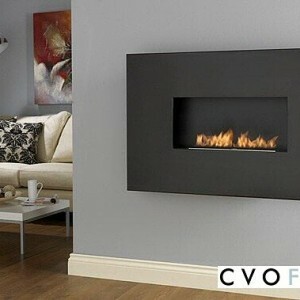 Spectacular flame quality which dances across a fuel bed sparkles and glows like the embers of a real coal fire. 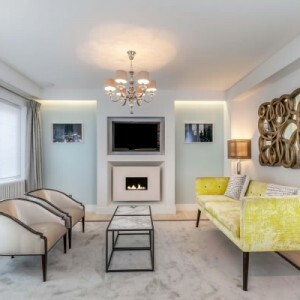 The fire bowl from this Anubis suite is also available to purchase separately to suit existing fireplace openings. We can also supply other surround designs upon request. Winner of the Prince of Wales Design Award. 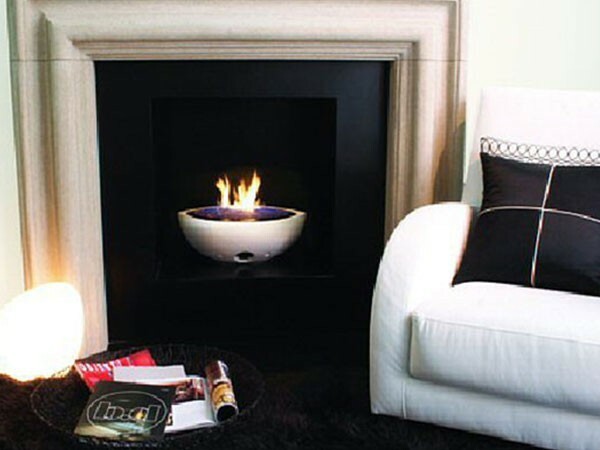 Gas Fire Bowl: Choose from White Ivory, Black, Sandstone, Bronze or Aluminium finishes. NG or LPG. Enclosure: Choose from Black or Stainless Steel, Limestone or Black Granite. Gather: The gather is supplied with the fire. We strongly advise using the gather as it will prevent debris falling into the opening from the chimney, stabilise the flame and maximise the efficiency. Beautiful Design, High Quality and Reliable. Loads of heat as well.